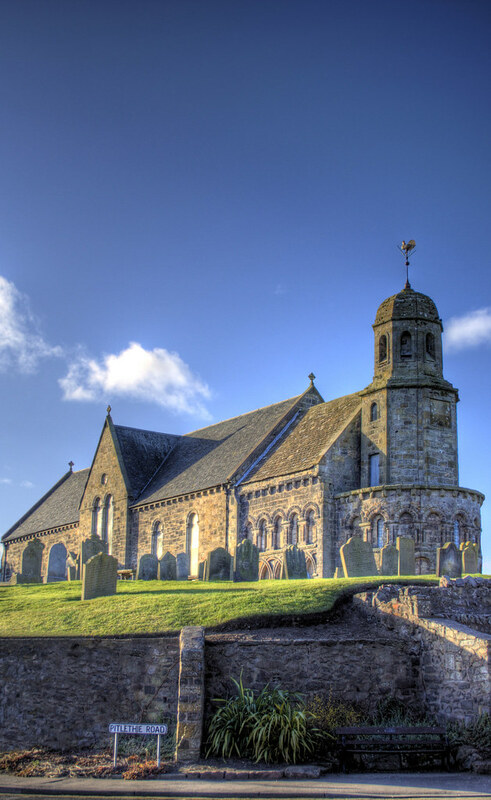 St Athernase Church, Leuchars, Fife, Scotland is one of the finest surviving examples of a Romanesque church in Scotland, with architectural detail as fine as that found in contemporary cathedrals or abbeys. It remains in use as a Church of Scotland parish church. This HDR is created from 3 exposures (-2,0,+2) and put togeather in Photomatix. Some more processing in Photoshop afterwards. This entry was posted in Church, Leuchars, Scotland and tagged "st anthernase", chapel, Church, fife, Leuchars, Scotland, tower. Bookmark the permalink.